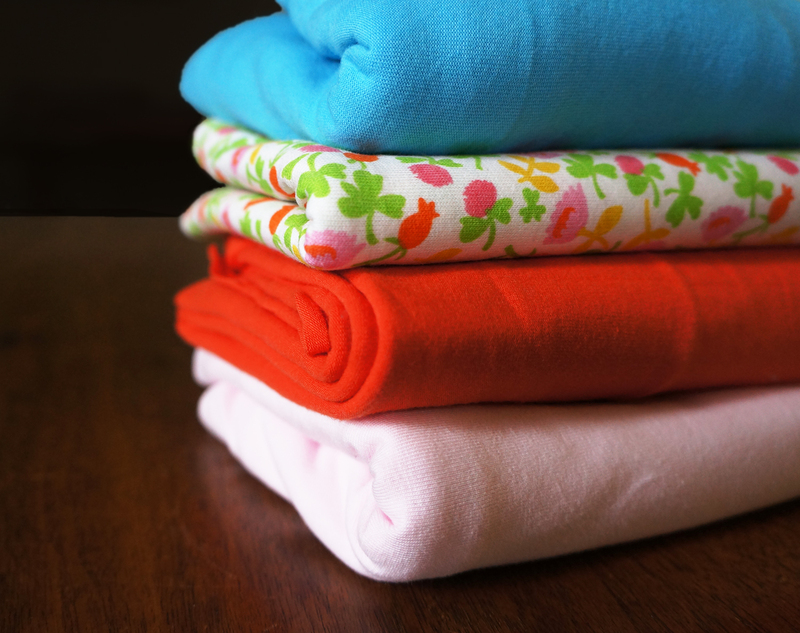 When we start sewing, we normally start with woven fabrics. But when we buy clothing, for ourselves, for our children, we are generally buying knits. Knits are forgiving to wear, and so comfortable! But after we have sewn for a while, we of course begin to wonder if we can't just sew our own t-shirts and knit dresses. After all, Pink Castle Fabrics is now offering a wide variety of knit fabrics, with many more to come as new collections come out. Let me assure you, you can. And without special equipment! Except for needles. 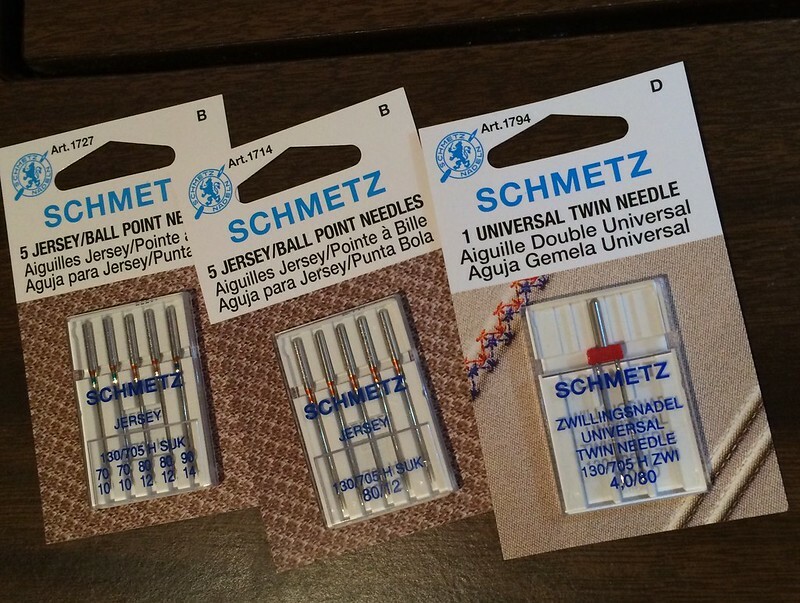 You will need to use ball point needles for knits, sharp needles do weird things to knit fabrics. And I would suggest investing in a twin needle, too, but more on that later. The difference between knit fabrics and woven ones is the stretch. Knits have it, woven fabrics don't. The stretch is mostly in the horizontal direction (between the selvages, though some knits don't have selvages). The issue with sewing knits is that you have to build some flexibility into the seam, or when you pull on it, you will snap the thread. This is not such a problem for seams perpendicular to the direction of stretch (side seams), but really important to those parallel to it (hems). 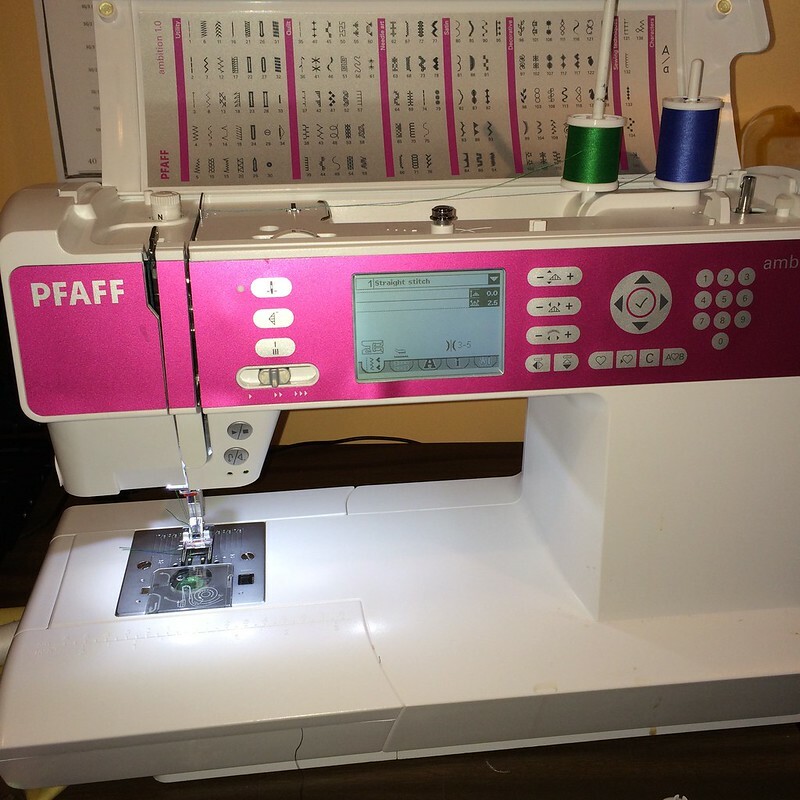 You probably already know that you can use the zig zag stitch on your sewing machine to mimic the overlock stitch you would get with a serger for side seams. 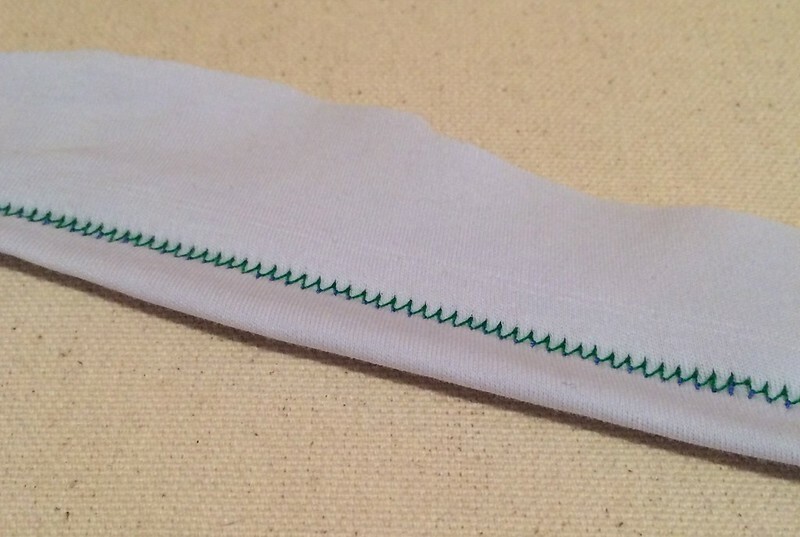 But how do you achieve a stretchy hem without a cover-stitch machine? Just using your own home sewing machine? My home sewing machine set up with a twin needle. Because the bobbin thread is looping between the two top threads this means of hemming provides that all important flexibility, and when you stretch the fabric, the hem stretches too. Isn't that a neat trick? My sister taught me that. Other knit resources, since we all don't have a sister who is into garment sewing.... I have Sew U Home Stretch: the Built by Wendy Guide to Sewing Knit Fabrics which seems pretty useful (though she wants you to buy both the serger and the cover stitch machine, though she mentions workarounds, and I'll have to admit to not having done any of the projects yet). Another book I thought had a good explanation about the differences between knits and woven fabric and why patterns that work with one won't necessarily work with the other is Cal Patch's Design it Yourself Clothes, which is definitely worth a read even if you're not planning on designing clothes and just need to alter patterns to fit you. As most of us do. As for more virtual reading, our friend Rae Hoekstra has a series about knits on her blog. Full of useful tips! Here is her post on hemming knits from which I just learned a few new things. Now, all we have to do is decide on what pattern to start with! How about some t-shirts?